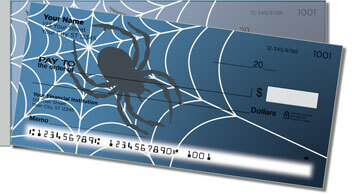 You can't be afraid of spiders if you clicked through for a better look at this design! 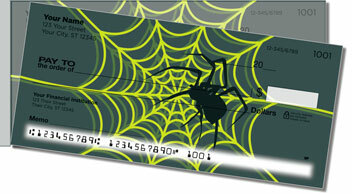 Our Scary Spider checks are perfect if you're as fascinated with black widows as we are. 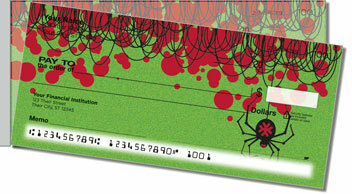 These unique checks feature cool illustrations of blood-sucking arachnids and intricate spider webs. Even the color palette screams "Boo!" 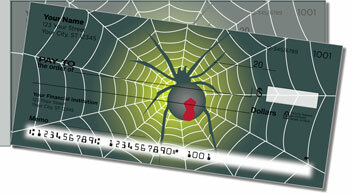 But their spine-tingling graphics aren't the only thing you'll love about our Scary Spider Side Tear Checks. Their left-side perforation affords superior leverage and a shorter tear, so there's less chance you'll make accidental rips as you separate completed documents from the pad. You can also get this spooky selection as a set of matching address labels. 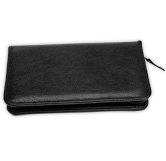 Don't delay -- personalize both great products for yourself today!